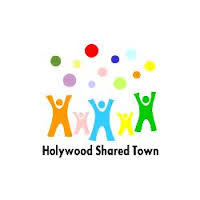 Holywood shared town is an umbrella group that aims to build working relationships between Holywood's many organisations, groups, businesses and institutions to help build a shared community and a better environment. Holywood Shared Town Consortium is a company limited by guarantee. It is made up of more than 30 agencies and organisations in Holywood and District. It includes schools, churches, sporting organisations, businesses, arts and music groups, with a number of statutory agencies having observer status. Our vision is for a Holywood Shared Spaces and Services Plan which will be developed alongside a programme of projects to build relationships, create shared spaces and tackle racism and sectarianism. To bring 200 children from different backgrounds together from 5 schools to build up self-esteem and worth. To show respect for young people from different backgrounds and learn team building / people skills. To develop a film within Redburn School which considers the important factors in creating and maintaining good relationships within a community. The life of Redburn Primary school (50 years) and the history of the area will be documented and inform the pupils in creating a charter for the neighbourhood. A large cultural/ community event for approximately 1500 people which serves members of the Protestant, Catholic and Ethnic Minority communities with the desire to facilitate integration and foster good community relations. The festival will bring people together; community groups, faith based organisations, and young people, in a shared vision. This project is the development of a multicultural musical based on real experiences of racism / sectarianism of the RECON group. This project involves the development of a shared play area at Redburn Community Centre. This project endorses recent community consultations (draft NIHE shared neighbourhood plan) through the need for additional Play areas in Redburn/ Loughview. It also secures a local initiative that will contribute to promoting the concept of shared neighbourhoods and shared spaces in Holywood. This project involves the development of shared spaces in the Holywood area building on the shared garden at Redburn Primary School. To partake in good practice visits within Belfast which can demonstrate good models to tackle sectarianism / racism by local communities. The proposed visits include a focus on an issue based approach to good relations and initiatives like Respect Week (the REAL project), faith based approaches to building inclusive communities (OASIS) and work to bring different groupings together in Ballynafeigh as a mixed community in Belfast.